I love to have a stash of these types of snacks in the freezer, perfect for a quick breakfast before heading off to the gym – filled with protein and fats to give sustained energy. This is a special recipe for me – the first thing I made in my amazing new Vitamix! I’ve been waiting to buy it for SO LONG and was finally able to. I was almost too excited when it arrived, but had to wait to be able to play with it because I kept getting home from work too late. 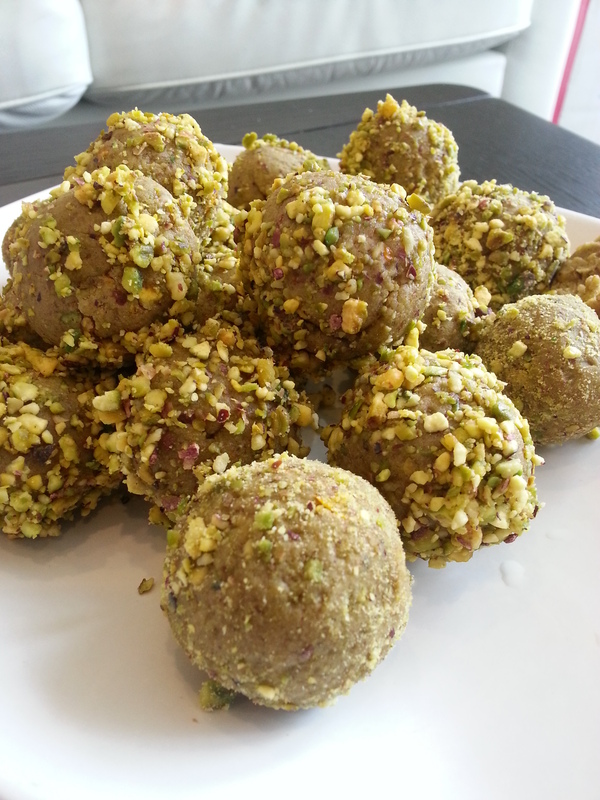 But…it’s here, and it’s awesome, and I can make yummy bliss balls like these in a flash (and without as much of a faff as using my small food processors…)! 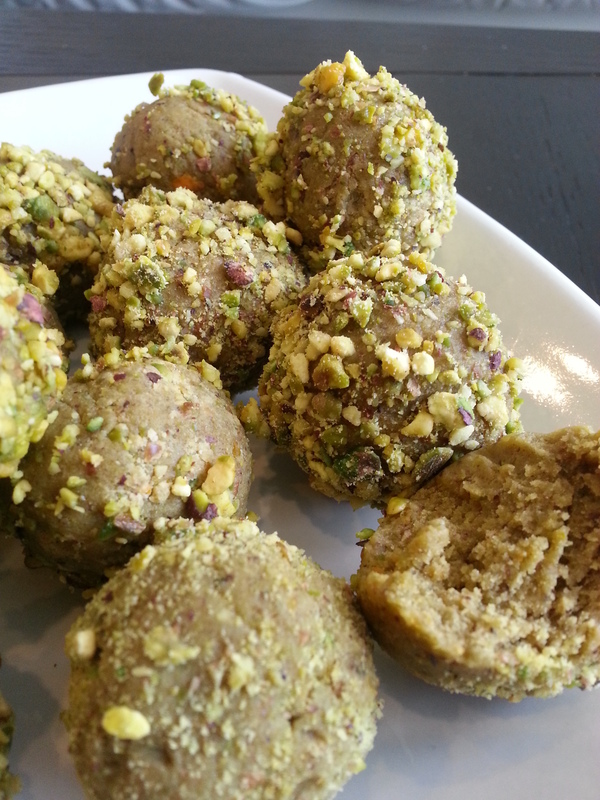 I blitzed it all up, rolled into balls and dusted with some leftover pistachios (ground). Posted in bliss ball, dessert, snackTagged cacao butter, coconut oil, orange, pistachioBookmark the permalink.